For golfers who wanted to experience a tough battle, the Man O’War Golf Course can give them exactly what they wanted to experience. 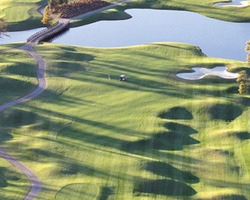 Rising from the depths of a 100-acre lake, this golf resort is designed by the famous golf course architect Dan Maples. Maples strategically placed back to back island greens making this golf vacation destination perfect for golfers of any level. 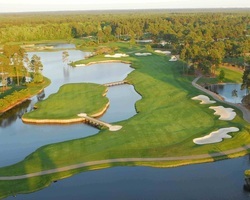 The main hazard of this course is water as the holes are scattered all over different islands over the lake. 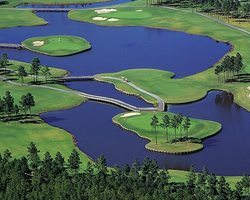 Islands are connected by bridges in which golf carts can pass if they have to. 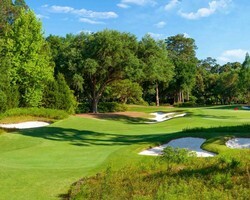 Different white sand bunkers test every player’s accuracy and shot making skills. Offering various amenities, the Man O’War Golf Course has a 7,163 yards layout and a par 72 from the back tees. 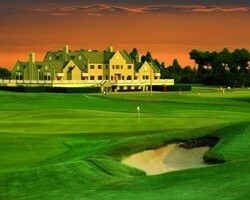 This resort has three holes with a strategic cross hazard which has a historic racetrack used in training champions. As golfers set foot to this course during their golf trips, British Isles with large greens, pot bunkers, double fairways, and sand dunes greet them perfectly. The ever present eastern shore winds also add to the challenge golfers faced every single round. With four sets of tees, this resort sits in the westerly part of Glen Riddle. In this course, USGA rules govern all play which includes wearing of proper golf attire when playing, repairing greens when necessary, and raking bunkers after making the shot in it. 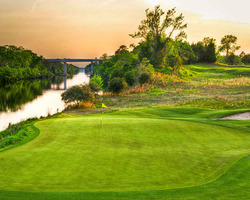 The Man O’War Golf Course also offers various competitive golf vacation packages aside from the amenities. These packages can help visitors save a lot of money during their trips while having to enjoy their tough experiences.